Brothers David and Kenny Khym established Southpole in 1991 after finding success running a retail store in Brooklyn and eventually Jamaica, Queens. The name Southpole was chosen as a tribute to a team of Korean explorers who had recently become the first from that country to reach the South Pole. Southpole found a niche in the urban markets by providing street-inspired apparel to urban markets at a lower price than their competitors. The Southpole approach of "driven by value and influenced by street style" has resulted in the company being one of the most popular and successful privately owned brands in fashion. Southpole has established the company as a respected manufacturer of denim jeans. Southpole denim features unique designs that distinguish their creations from other urban brands. Southpole jeans use sandblasting, whiskering, stonewashing and fading and a variety of styles, including straight-leg, skinny, regular, relaxed and loose fit designs to offer a wide variety of choices to their fans. Southpole jackets have also become one of the company's most popular offerings. 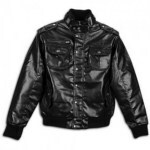 Southpole now offers bomber style jackets, varsity jackets, padded and hooded jacket designs, and members only jackets. Southpole jackets include features like faux-fur details, wool fabrics, Sherpa linings, and padded puffy jacket designs.